The DaLi Genting Hotel is located on the shores of Erhai Lake, in a beautiful area outside of the tourism and cultural hub of Dalizhen. The hotel is situated 19 km from the city center and approximately 40 minutes by car from the airport. DaLi Genting Hotel has 13 comfortable guest rooms featuring simple rustic décor and hardwood floors. Each bright room comes equipped with a private bathroom, LCD TV, balcony, air conditioning, and free wireless internet access. Guests of the DaLi Genting Hotel are welcome to take advantage of the various amenities, including meeting facilities, airport transfer service, outdoor terrace, coffee shop, full-service bar with lounge, and a restaurant serving delicious regional cuisine. The hotel also features a concierge service, tour information, and bicycle rentals for guests that want to explore the city and surrounding area. Dali Genting Hotel in Dali! 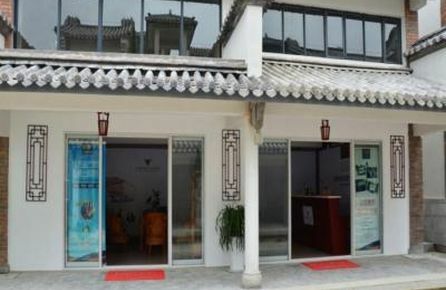 The recently built Dali Song Mei Yuan Hotel is located in the heart of downtown Dalizhen, within walking distance to a wide range of local attractions, shops, and restaurants. 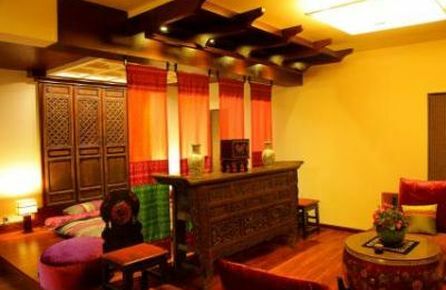 Dali Song Mei Yuan Hotel has 20 comfortable guest rooms featuring traditional Chinese décor and beautiful artwork. Each spacious room comes equipped with a private bathroom, sitting area, air conditioning, TV, and free wireless internet access. Guests of the Dali Song Mei Yuan Hotel are welcome to enjoy all the comforts and services the hotel has to offer, such as a peaceful Chinese garden, concierge service, laundry service, coffee shop, bar, and a restaurant with available room service, serving traditional Chinese cuisine. Dali Song Mei Yuan Hotel in Dali! The Linden Centre is located near picturesque Erhai Lake, 30 km from downtown Dalizhen and 35 km from the airport. The Linden Centre has 13 comfortable guest rooms featuring contemporary furnishings with traditional Chinese accents. Each non-smoking room comes equipped with complimentary bottled water, private bathroom, desk, and free wireless internet access. The Linden Centre features a wide variety of recreational facilities, including a modern fitness center, peaceful courtyard with garden, games room, and kids club. 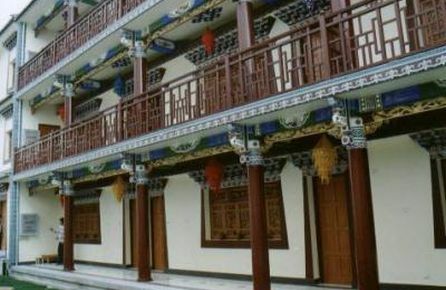 The hotel boasts traditional Chinese architectural features and offers an on-site coffee shop, full-service bar with lounge, and a restaurant with indoor and outdoor dining. Guests who wish to explore the surrounding area will appreciate the available bicycle rentals, while those that want to visit local attractions can get information at the tour desk. The Linden Centre in Dali! The Dali Tujia Sweetome Vacation Rentals Gantong Villas is located on the main street of the small town of Gantong, 3 km from Dalizhen. The hotel is situated near a variety of historical sites, including Cangshan National Geopark, Gantong Temple, and the ancient city of Dali. Dali Tujia Sweetome Vacation Rentals Gantong Villas has 12 spacious guest suites featuring simple décor and comfortable furnishings. Each bright room comes equipped with a private bathroom, sitting area, small kitchenette, TV, and free wireless internet access. 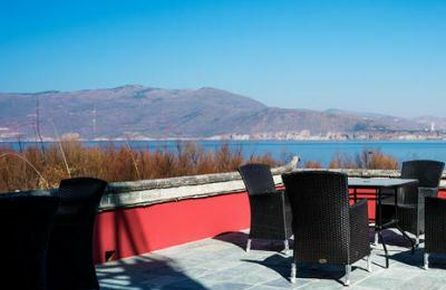 Guests will enjoy the peaceful atmosphere surrounding the hotel, with beautiful gardens, adjacent streams, and views of Erhai Lake and the mountains. The hotel features a wide range of modern amenities, including Wi-Fi in all public areas, laundry service, local shuttle service, bicycle rental, and tennis courts. The hotel also offers 24-hour room service for guest convenience. Dali Tujia Sweetome Vacation Rentals Gantong Villas in Dali! 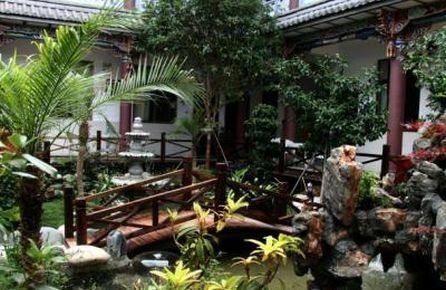 The Dali Zhang Family's Garden Guesthouse is located in the Qiliqiaoxiang area of Dali, just 5 km from downtown Dalizhen. 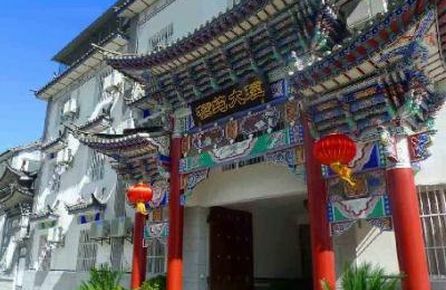 The hotel is situated near a variety of historical sites, including Cangshan National Geopark, Gantong Temple, and the ancient city of Dali. Dali Zhang Family's Garden Guesthouse has 20 comfortable guest rooms featuring tasteful décor and traditional Chinese accents. Each room comes equipped with a private bathroom, satellite TV, desk, in-room safe, and optional paid Wi-Fi access. 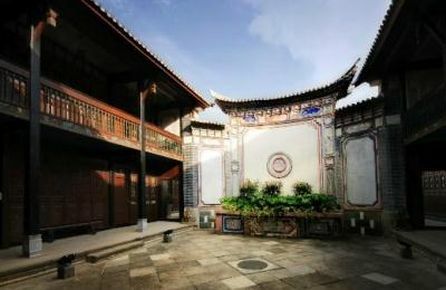 Guests will enjoy the hotel's traditional Chinese architecture and peaceful courtyard with garden. 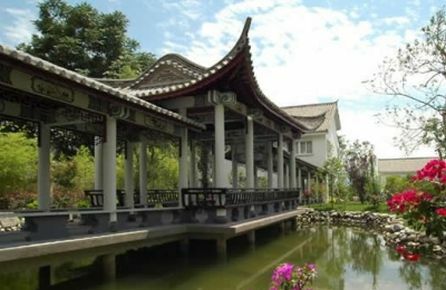 The Dali Zhang Family's Garden Guesthouse features a variety of amenities for guests to take advantage of, including local shuttle service, available airport transfer, safety deposit boxes, 24-hour room service, and tours of local attractions. Dali Zhang Family's Garden Guesthouse in Dali! The Dali Encounter Hotel is located in the city of Dalizhen, within walking distance to downtown. The hotel's convenient location allows guest to visit all of the area's major attractions, and the airport is 40 minutes away by car. Dali Encounter Hotel has 41 guest rooms featuring comfortable furnishings and tasteful décor. Each spacious room comes equipped with a private bathroom, LCD TV, sitting area, and free wireless internet access. Guests will appreciate the hotel's traditional Chinese décor and peaceful outdoor courtyard with hanging plants. The hotel offers a number of convenient features for guests to enjoy, including a coffee shop, full-service bar, and a restaurant serving delicious regional cuisine with available 24-hour room service. The hotel also features a local shuttle service, airport transfer, free onsite parking, and valet service. Dali Encounter Hotel in Dali! The 4-star Dali Gurong Hotel is located in the heart of the city of Dalizhen, within walking distance to the Ancient City of Dali and all of the city's other major attractions, shops, and restaurants. The hotel is also situated 35 km from the airport. Dali Gurong Hotel has 61 bright and spacious guest rooms featuring contemporary décor and comfortable furnishings. Each non-smoking room comes equipped with a private bathroom, complimentary bottled water, sitting area, TV, and free wireless internet access. Guests are encouraged to take advantage of the hotel's modern amenities, including a fitness center, beautifully manicured ground with gardens, massage services, business center, meeting facilities, and babysitting services. The hotel has on-site shops for gifts and souvenirs, and a restaurant serving gourmet regional and international cuisine. Dali Gurong Hotel also offers a concierge service, shuttle service, and guided tours of local attractions for guests interested in exploring. Dali Gurong Hotel in Dali! The Dali Xianju Suhuaying Inn is located in the middle of downtown Dalizhen, within walking distance to the Ancient City of Dali and all of the city's other major attractions, shops, and restaurants. The hotel is also situated 35 km from the airport. Dali Xianju Suhuaying Inn has 8 comfortable guest rooms featuring colorful décor and simple furnishings. Each spacious room comes equipped with a private bathroom, TV, coffee maker, and complimentary wireless internet access. Guests will enjoy the impeccable services and amenities at the hotel, including bicycle rentals, guided tours, laundry service, shuttle service for the local area, and a restaurant serving delicious regional cuisine. Dali Xianju Suhuaying Inn in Dali! 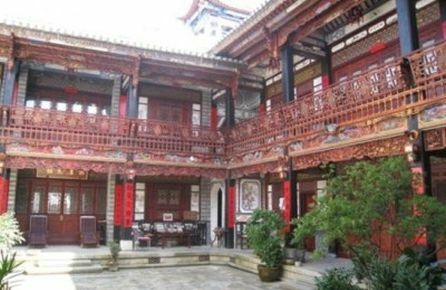 The recently built China Old Story Inns of Dali is located in the city of Dalizhen, just a short walk from the Ancient City of Dali, and 3 km from the city center. The hotel is conveniently located near all of the city's major sites, shops, and restaurants, and is just 20 km from the airport. 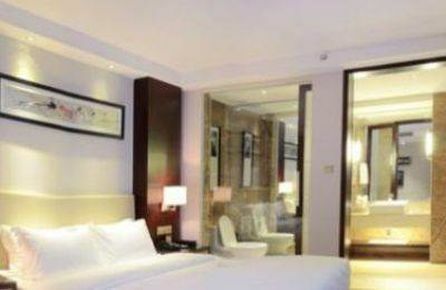 China Old Story Inns of Dali has 33 comfortable guest rooms, each featuring a private bathroom with shower, TV, desk, and free wireless internet access. Guests will enjoy the hotel's superior service and amenities, including on-site shops for souvenirs, bicycle rentals for exploring, business center for getting some work done, and an outdoor courtyard with seating and a peaceful garden. The hotel also features a full-service bar, and a restaurant serving regional cuisine with available 24-hour room service. China Old Story Inns of Dali in Dali! The Dali Jims Tibetan hotel is located in the city of Dalizhen, just a short walk from the Ancient City of Dali, and 3 km from the city center. The hotel is conveniently located near all of the city's major sites, shops, and restaurants, and is just 20 km from the airport. Dali Jims Tibetan hotel has 15 comfortable guest rooms featuring hardwood floors and simple décor and furnishings. Each quality room comes equipped with a private bathroom with shower, sitting area, TV, coffee maker, and free wireless internet access. Guests will enjoy the hotel's superior service and amenities, including a coffee shop, bicycle rentals for exploring, guided tours, and an outdoor courtyard with seating and a peaceful garden. The hotel also features a full-service bar, and a restaurant serving regional cuisine with available 24-hour room service. Dali Jims Tibetan Hotel in Dali!